We offer the right fit for your needs, whether selling you critical components or a complete turnkey solution. Our know-how and flexibility to think differently set us apart. We specialize in disassembling existing internal components while preserving the exterior casing, installing new market-leading air pollution control systems, closing the casing and commissioning the whole – something other companies don’t offer. The performance of a new system. We can change the inner parts of your existing devices and can often reduce emissions to well under the world’s strictest emissions regulations. A lower CAPEX alternative. You save money by keeping exterior components and reusing existing ancillary equipment. Compliance with emissions regulations. We can add FGT to existing air filtration systems, ensuring your plant’s adherence to incoming legislation. A rapid option. Installation and commissioning can often be done during regular downtime. Possibilities, even for new customers. Our retrofits, transformations and upgrades are available on equipment from other OEMs. What is the difference between a retrofit, an upgrade and a transformation? Retrofit: Disassembling existing internal components while preserving the exterior casing, installing new market-leading air pollution control systems, closing the casing and commissioning the whole – something other companies don’t offer. Upgrade: Replacing parts of the existing system with new components or changing the internal workings of the equipment (adding more filter bags to an existing bag filter (baghouse), for example) to increase the entire system’s efficiency. Transformation: Converting an existing piece of equipment into another. For example, converting an existing electrostatic precipitator (ESP) into a Redecam Bag Filter or Dual-Action Filter, or vice-versa. Our capacity to design, manufacture, install and commission both air filtration and flue gas treatment solutions makes us a one-stop shop in terms of air pollution control. Our extensive project management experience. We have completed over 2,000 projects and have been awarded for our excellence in project management. Our reliable products. We engineer reliable, long-lasting systems, some of which were installed over 25 years ago, have never been changed and still achieve the strictest emission requirements. Our rapidity. We are experts at getting a project done in record time – often in half the time our competitors quote. Our flexibility. We customize our products, our entire solutions, our installation and our technical support and services to suit your emission targets, space, layout and timeline. Our budget consciousness. We propose manufacturing exterior components in-country to reduce your costs and offer jobs in your region. We have always strived to offer our customers the best solutions on the market. 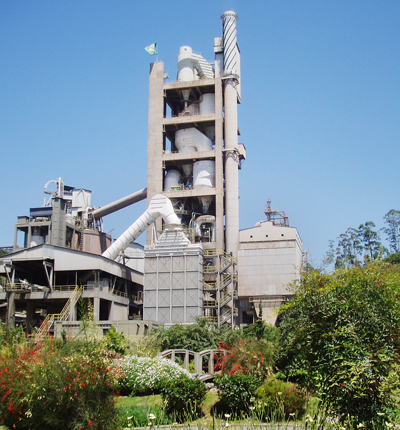 Votorantim Cimentos’s Rio Branco plant is a prime example. In 1990, Rio Branco was one of our first big projects in Brazil. We installed a Redecam Electrostatic Precipitator (ESP) as the anchor of our air filtration solution. Since, the plant has been altered, but not our air filtration equipment: our solution has remained unchanged since commissioning. It remains compliant, even today, with the strictest air emission regulations. This is not the case with similar systems from other companies.